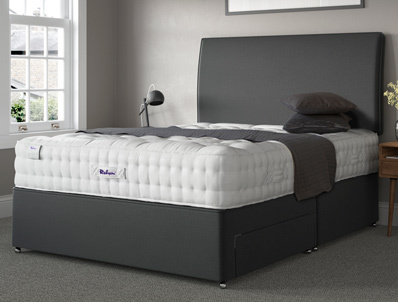 This bed is part of a range of 4 great value beds from Relyon. The Luxury Wool 2150 pocket bed comprises of a no turn easy care mattress that contains pure new coniston wool and other fabric layers to create a standard medium feel. The mattress is further enhanced with 3 rows of side stitching and has hand tufted woollen tufts. 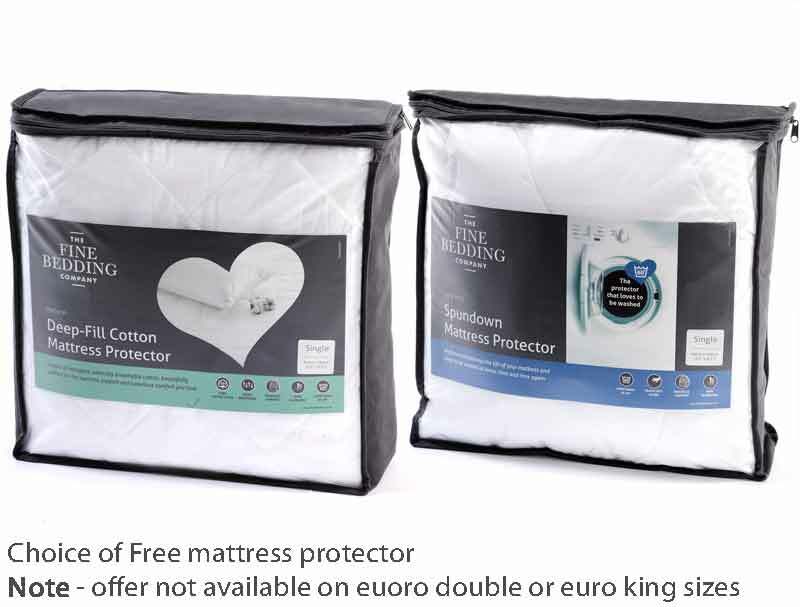 This no turn mattress comes as standard on its recommended firm edge coil spring base (firm edge means solid at sides and sprung in the middle), this offers a wider sleeping area and less roll of at the sides. The divan bed like all Relyon beds comes with 2 FREE drawers on each size and is available in over 10 standard fabrics free of charge and a further 20 fabrics for a small upgrade. The headboard in the picture is called the August and is available either as a bed fix on wooden legs or as a new extra height curved back floor standing headboard. It is not included with the bed but is available as an added extra. Like all Relyon beds it comes with an 8 year guarantee.